The Saluda Factory, built in the 1830s, was one of the first textile manufacturing plants in the state. It was operated by slave labor and the main products were brown shirting and a colored cotton fabric used in making clothing for slaves. The factory was burned in February 1865, but was rebuilt of wood after the war. Today all that remains are the granite foundations and the sluices used for diverting river water to power the mill. 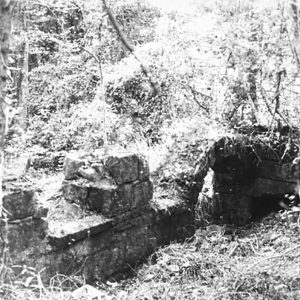 The ruins are located on the grounds of Riverbanks Zoo, which has erected a Saluda Factory Interpretive Center nearby.